These days everyone is jumping into the world of blogging or E-commerce. It’s so easy now a day to stay online from any part of the world, and start making money online. WordPress is one of the best choice of platform for people to create blog or E-commerce portal, as it’s flexible, and there are unlimited plugins and support to help you achieve your requirement. More over, for those who are starting a blog, with WordPress, one can easily start a blog in no-time and with no technical skills. To start a WordPress blog, all you need is a Webhosting and domain name, which one can easily buy from Bluehost for $60/year. Though, just having a blog will not guarantee your success in the online world, and there are many more things that you need to know to succeed. Here I’m sharing few things that you should know before launching your WordPress blog. You need to consider investing money on blogging before launching a WordPress site to succeed online. You can’t expect money from your blogs without actually spending money on it. 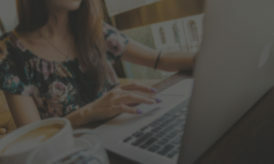 As I mentioned you can start a WordPress blog with just $60/year, but there are many more investment options available. For example, you can buy a premium WordPress theme or hire a WordPress developer to create a custom theme for you. Options are unlimited, and a good idea is to have a budget in mind. This way, you can determine how much money you are going to spend on your blog setup and other premium stuff. Buying premium plugins like EasyWPSEO. Premium WordPress theme or Custom theme. “Blogging is an online business, and any business needs investment to succeed”. By using free services like Blogger platform, you don’t always get serious about blogging, thus you don’t get much interest in making money from them. Because, when you get everything for FREE, you don’t really care about the success, since you are not investing anything in it. 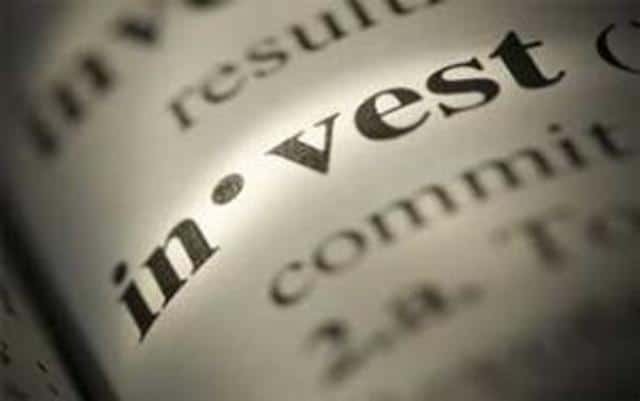 Invest money on your blogs if you want to consider blogging seriously, you will then get money in return from your WP blogs. Know your passion, choices and hobbies – choose your blogging niche according to them. Without having passion about your niche, you REALLY don’t find it encouraging to blog regularly. You also need to teach your audience on your selected topic. And you need to stand out from the crowd if you want to succeed in the blogosphere. Choose a narrow niche instead of selecting a niche that’s broad where you can’t actually find a room for yourself to succeed. When you narrow down your niche and write topics ONLY on them, you will actually get more chances to master in that niche. That is how you can succeed in the crowded niche. No matter how great your content is or how narrow your blogging niche is, you need to have more online visibility to succeed in blogging. Social media engagement is the most important thing you need to consider before launching a WordPress site. Make sure you are spending quality time on social media sites like Facebook, twitter and Google+ to get more online visibility, spend time on connecting with others, promoting their products and articles to grab other bloggers attention. Also set aside some time to connect with the power users of social media sites, follow the top bloggers in your niche, and share their stuff, ask thoughtful questions regularly to keep in touch with them. In this Google panda and penguin world, you can’t solely depend on Google to bring more traffic, leads or income to your blogs. You have to build an email list where it becomes easy for you get more sales (either from your affiliate products or from your own products). It obviously takes time to build a thriving email list. You need to invest money on email auto-responders like AWeber to build your lists. Give away something for free on your WordPress blogs to quickly build your email lists. Place your email optin forms in the most visible places on your WordPress sites to make more people subscribing to your email list. Convince them with your offer and use captivating headlines to grab their attention to bring more signup’s. Learn how to optimize your posts for the search engines on your WordPress blogs. By defaults, the WordPress sites are SEO friendly, so you find it easy to compete with the blogs which run on other blogging platforms (like Blogger, Typepad, Tumblr etc). You need to focus on learning “on-page optimization” to boost your search engine rankings in the search results. Make sure you are targeting the primary keywords before you write even a single word on your blog posts. Don’t keyword stuff your blog posts to get search engine traffic, but make the use of “long tail keywords” and use relevant keywords to get good traffic from the search engines in the long run. Make sure you are targeting the right keywords that will bring your more ‘targeted people’ to your blogs via search engines. You don’t need to be a SEO expert, but knowing basic stuff like “Keyword research” “Keyword optimisation” will help you to drive more traffic from search engines. 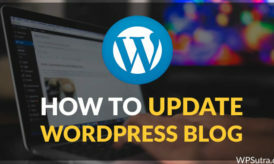 Security should also be in your top priority list before launching a WordPress site, because there are so many hackers and/or crackers around blogging world to hack your sites. to save your WordPress sites from getting hacked. 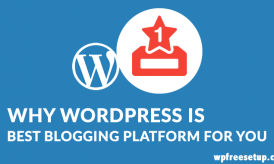 There are many more things that you should know to create a successful business on WordPress platform. But, for a beginner above few things will put your online business in the right direction, and you will be on the path to achieve your goals. I ever did doing all these things before launching my site but from now onwards will start doing that i came to know that this post is worth to me and helps to build a good brand. Thanks harsh for letting me to know about this.